The folks at OkCupid, one of many online dating services, have staked claim to Portland as one of its best cities. OkCupid requires a robust profile. "The OkCupid campaign is a continuation of the brand's mission to fix dating and to focus more on substance over selfies," a news release says. Portland bluesman Curtis Salgado and renowned Portland guitarist Alan Hager will celebrate the release of their first collaborative CD, "Rough Cut," with a live performance Feb. 2 at Mississippi Studios. Salgado and Hager have been jamming together for 14 years, with Hager joining Salgado's band in 2015. Alligator Records touts "Rough Cut" as a stripped-down album featuring a potent mix of newly written, timeless originals and carefully chosen blues covers. Tickets are $25 ($30 day of show) for the 7 p.m. Feb. 2 gig at Mississippi Studios, 3939 N. Mississippi Ave. For more: www.mississippistudios.com. A new video from the album: "I Want My Dog To Live Longer (The Greatest Wish)." The legendary band that features Don Henley, Joe Walsh and Timothy B. Schmit, and joined by Vince Gill and Deacon Frey, has added four more concerts to its 2018 tour, including May 5 at Moda Center. 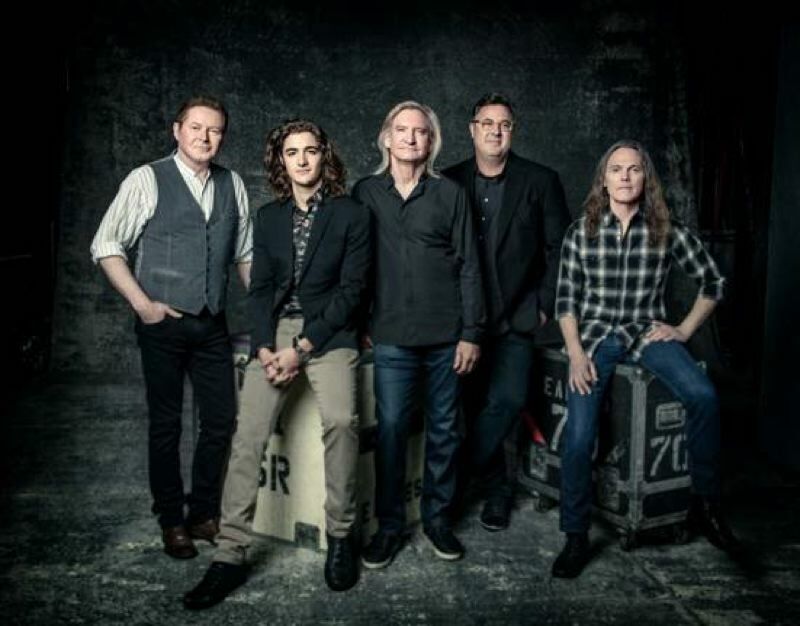 Tickets for "An Evening With the Eagles" go on sale at 10 a.m. Friday, Jan. 12, at www.ticketmaster.com, www.rosequarter.com and Rose Quarter box office. They range from $59.50 to $399.50. Wanderlust and Adidas have announced the return of the Wanderlust 108, the world's only mindful triathlon series, April 7-Sept. 9, and it stops at Portland's Willamette Park on July 7. The Wanderlust triathlon is a 5-kilometer run (or walk), a music-fueled outdoor yoga class and a guided meditation led by top teachers. Tickets go on sale Tuesday, Jan. 9. For more: www.wanderlust.com/108s. Once again, the Broadway play that has won nine Tony Awards comes to Portland, Jan. 23-28 at Keller Auditorium, and because it's sold out for the most part, organizers have announced plans for a preshow lottery for every performance. Tickets are $25 at the Keller Auditorium box office at 222 S.W. Clay St.; entries for lottery tickets will be accepted at the box office 2½ hours before each performance and names will be drawn for tickets. Performances are 7:30 p.m. Tuesday-Friday, Jan. 23-26, 2 and 7:30 p.m. Saturday, Jan. 27, and 1 p.m. Sunday, Jan. 28. The woman whom Women's Health magazine tabbed as the "Next Fitness Star" has set up a new fitness home where she will be teaching group exercise classes. She's Betina Gozo from Portland, fitness expert and Nike master trainer, and she'll have StrengthFarm as her new fitness home for #TrainWithBetina group exercise classes. The classes will be offered weekly, Monday through Friday, in the mornings, and one midweek evening option. All fitness levels are welcome. Gozo grew up in the Chicago area and moved to Portland in 2016 to be closer to Nike World Headquarters. At Nike, she leads workouts that include functional strength moves, plyometrics and core work. StrengthFarm is located at 1720 S.E. Haig St. in Portland. There'll be a free class provided at 6:30 a.m. Friday, Jan. 12. For more: www.strengthfarmpdx.com and www.trainwithbetina.com.